Michelle Williams is 36 years old and is a Registered Nurse. This is her third year with Bootcamp this October. Michelle has lost 35 pounds since she started and loved that. 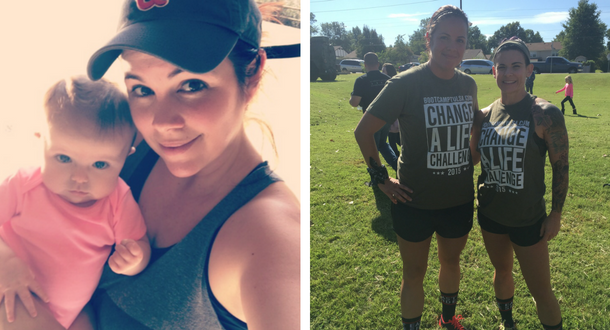 She had her daughter this last November and was able to go back to BcT after being released from the doctor and lost all but seven pounds of her pregnancy weight….only to find out she was pregnant again. She has continued to workout through both pregnancies, and the coaches have been great helping her modify when needed. BcT brought the following changes for Michelle: “Besides making me challenge myself daily, I’ve changed my eating habits and what I feed my family as well. It has changed the way I look at things and has helped in my relationship and my faith.